– ONT Goal: Hensick picks up his 2nd goal of the game 49 seconds into the 3rd period from Luff and Leslie. Deflection from point shot. 4-1 ONT early in 3rd period. – TUC Goal: Roadrunners come right back as Looke one-times Cheek pass from below the goal line to make it a 4-2 Reign advantage. 4:53 into 3rd period. – Campbell has now tied a personal season high with 36 saves. Now easily passed with flurry in front. Up to 38 now. – TUC Penalty: Clendening takes a tripping call with 36 sec left. All but seals the deal. – That’s the ball game. ONT down TUC 4-2 in 1st meeting. Campbell with 38 saves. Hensick with 2g. Auger and Mersch the others. Campbell the top star of this one. – Shades of the 1st period, TUC comes out with pressure and chances in front of Campbell. ONT sits tight. – Open hockey in the midway stretch of the 2nd period. Both teams kept to the outside. 2-0 ONT with 11:40 left. – TUC Goal: Roadrunners grab #TeddyBearToss goal on 2on2 rush. Capobianco beats Campbell off the right post. 2-1 ONT with 7:25 left in 2nd period. – TUC keeps the pressure up following the Teddy Bear Toss goal. Point-blank looks and Campbell denies. 2-1 ONT with 3:46 left in 2nd period. 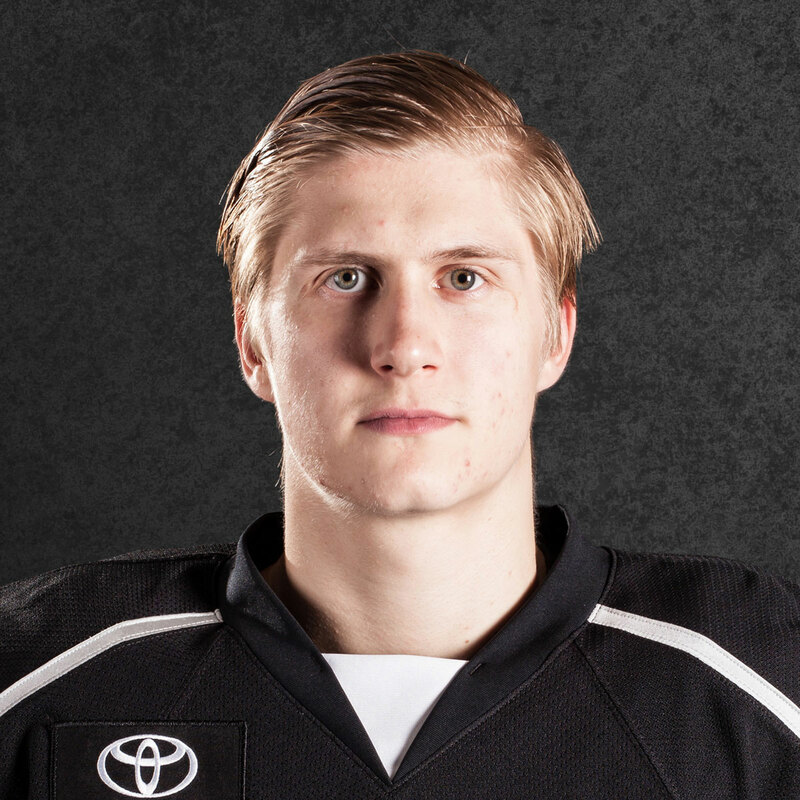 – ONT Goal: Brett Sutter screens Miska on top of crease and Hensick fires it in with 1:44 left in 2nd period. 3-1 ONT. 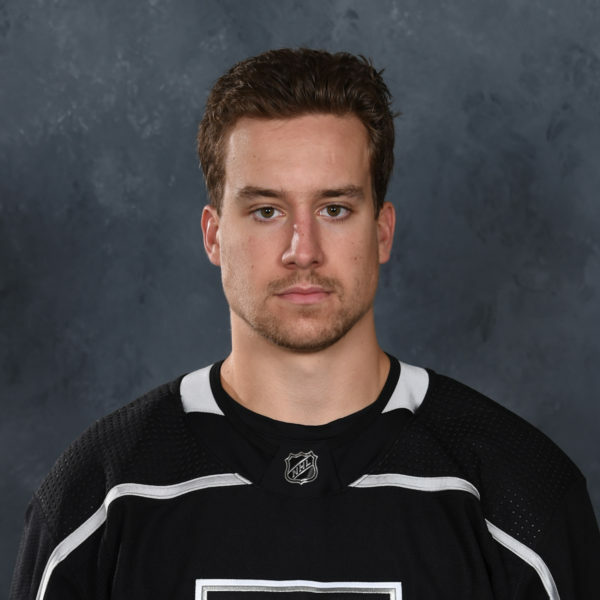 – ONT Goal: Michael Mersch opens the game scoring by crashing the front of the net and making it 1-0 with 15:25 left in 1st. D Sean Walker with lone assist. – ONT Goal: Auger makes it 2-0 on a nice break down the right wing. Beats Miska clean from left-wing circle. – ONT PK stands tall. Quick return to ice for Sutter. 2-0 ONT with 8:19 left in 1st period. – ONT Penalty: Jamie Devane at 17:02 takes a seat for hooking. 2nd PP for TUC. ONT up 2-0. – PP comes quietly to a close for TUC. 0/2 for TUC. ONT up 2-0 with 1 min left in 1st period. – 1st period comes to a close. ONT up 2-0 with goals from Mersch and Auger. ONT leads in shots 14-12. Good period by Jack Campbell. – The Roadrunners celebrated their first season in the AHL and in the Pacific Division last season. 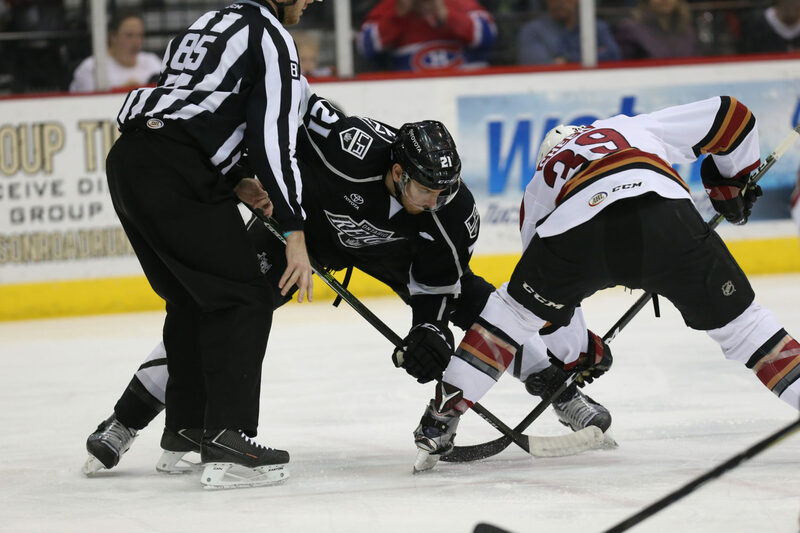 Over 12 meetings, the Reign went 5-5-2-0 against their new division rivals. Forward Jonny Brodzinski, now with the Kings, led the Reign against the Roadrunners with 10 points (six goals, four assists). 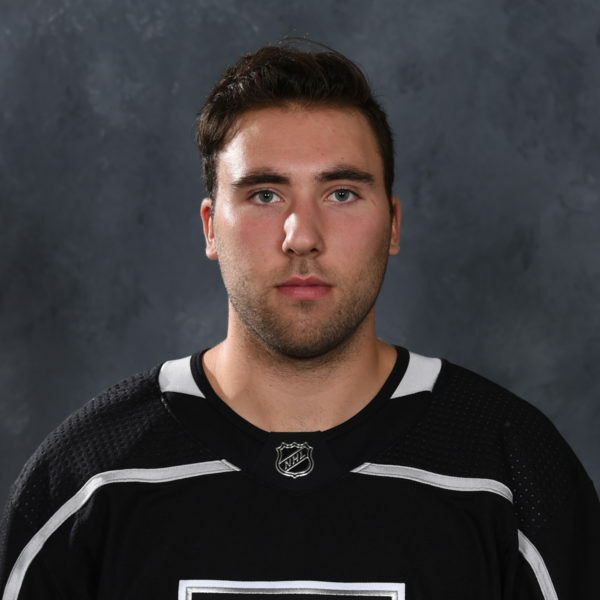 Goalie Jack Campbell went 5-2-1 in eight appearances against Tucson with a 1.88 goals-against average and .934 save percentage. 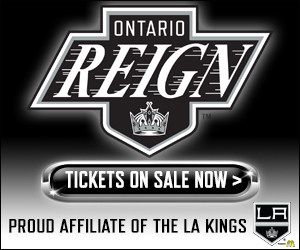 – On Friday, the Reign saw a season-high four-game winning streak come to a close in a 3-2 setback to the San Diego Gulls at Citizens Business Bank Area. 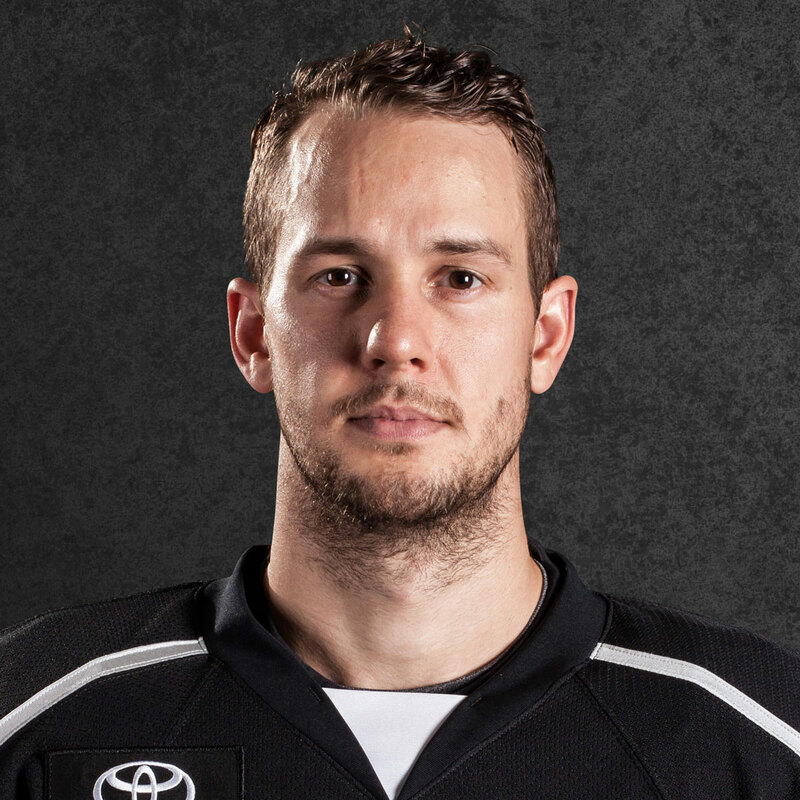 Heading into today’s contest, the Reign are 7-2-0-1 in their last 10 games. Forward Andrew Crescenzi saw a five-game point streak come to a close (three goals, four assists). – The Roadrunner currently lead the Pacific Division with a 10-3-2-1 record and are 6-2-1-1 in their last 10 games.